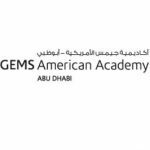 GEMS American Academy, Abu Dhabi (GAA) is modeled after the highly successful and sought after Dubai American Academy. Opened in September 2007, GEMS American Academy, Abu Dhabi benefits from the experience of our sister school in providing an outstanding college preparatory educational program in the English language to students from around the world. Find out more about how GEMS American Academy Abu Dhabi are doing on their CFC Dashboard. Last week we went around our school (indoors and outs), and we collected all the litter that people carelessly left behind. We managed to fill three trash bags that we measured to be approximately 7 kilograms.